Too often, family movies and TV shows have an unrealistic or negative depiction of adoption. There’s always some tragic orphan who is being raised by an exploitative villain! But these five kid-friendly movies and TV shows feature characters and experiences that young adoptees can actually relate to. Although the first Despicable Me movie had an adoption storyline that’s far from being either accurate or positive, the sequel centers on the family’s post-adoption life. Gru, gentle “super-villain” and loving single dad, raises three adopted girls in an unconventional but nurturing home. In the sequel to Kung Fu Panda, the movie’s main character, Po, talks about his adoption story with his father, a goose named Mr. Ping. Po forms a special relationship with his panda birth family while still regarding Mr. Ping as his father. Po discovers that both his birth and adoptive families have played an important role in his identity. 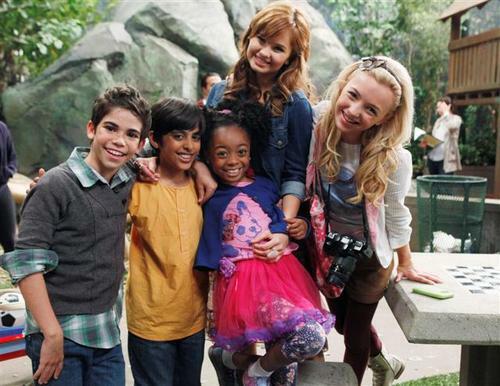 This Disney sitcom focuses on a young nanny in New York City who cares for four children, three of whom are adopted. They celebrate the children’s “Gotcha” Days, recognize the birth cultures of the children who were adopted internationally, showcase the sibling relationships throughout the show, and establish the importance of being very open about a child’s adoption from the beginning. A little alien tries to get back home with the help of a group of pre-teen friends. The movie centers on a character living with a loving foster family. He struggles with fears of abandonment, grief and loss — all common experiences for foster children. He longs for a sense of home, just like Echo the alien. But the message of the film is clear: despite negative past experiences, change can mean an end but also a beginning. Disney Junior consulted with adoption experts to write a multi-episode storyline about the McStuffins family’s adoption of a baby. The show progresses through the different emotions that children can feel when adding a new sibling to the family through adoption, all while using adoption-positive terms and realistic experiences that even young audiences can understand.